Want to take a hike, but can't quite generate the get-up-and-go to put down the laptop and get off the couch? 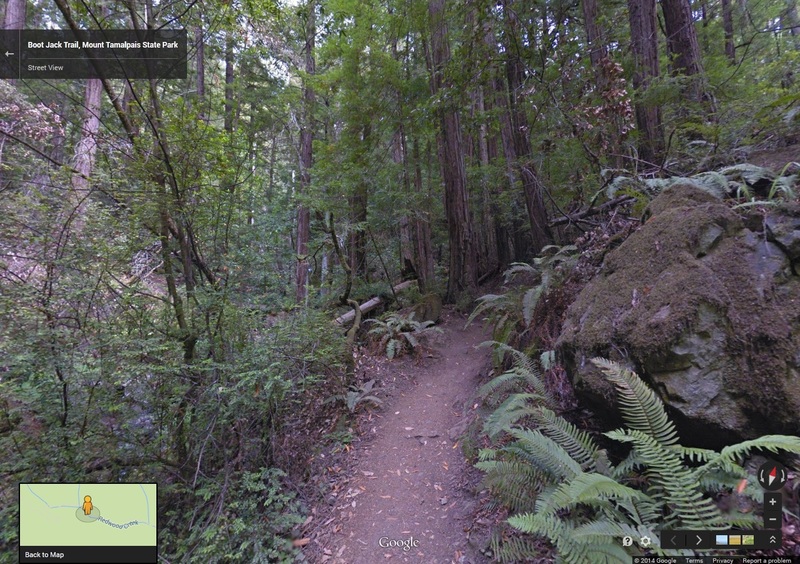 Maybe you're at work, but wish you were on the Dipsea trail? 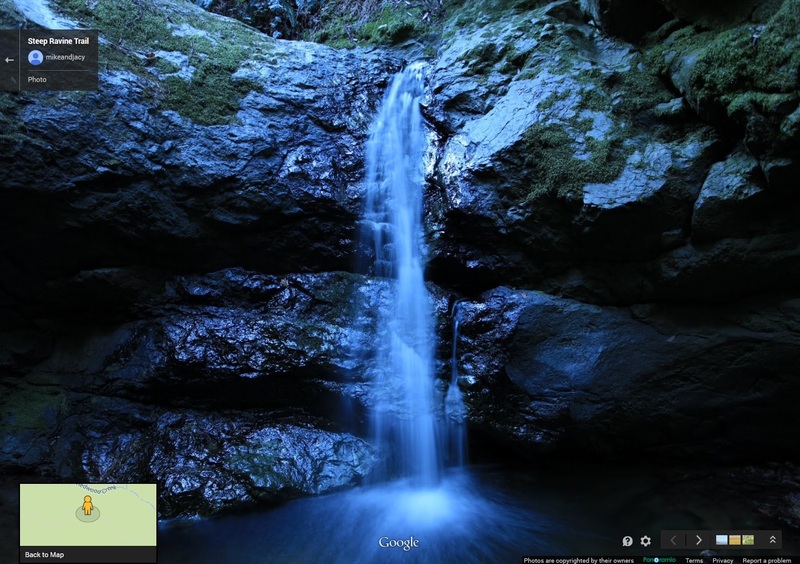 Well, you can now visit 14 California State Parks from the comfort of your own web browser, using Google Street View. The new feature of Google Maps isn't really aimed at armchair hikers; the idea isn't to replace the physical park experience. 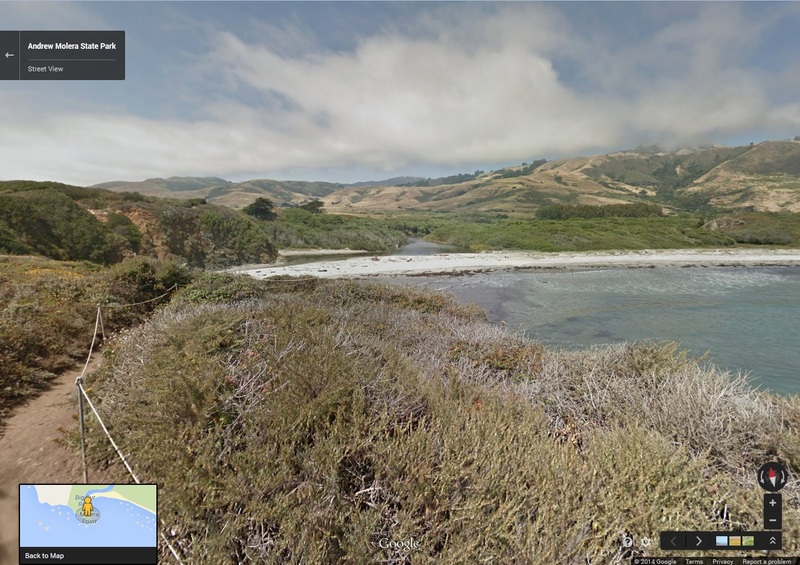 "Our goal is for this imagery to really encourage people here both within California and across the world to see what California has to offer," says Street View manager Deanna Yick. Nonetheless, we're enjoying seeing what California has to offer from our cubicles, instead of whatever other work we might be doing. Hikers wear 40-pound backpacks outfitted with cameras that take still photos; the devices, which look like those Street View car cameras, only they're mounted on people's backs, are called Trekkers. The photos are then stitched into 360-degree panoramas. Here are the state parks you can now visit without actually putting your shoes on.